How much time do you spend jumping between marketing channels? If you’re like most marketers, the answer is probably “hours.” The average enterprise uses eight different marketing channels. Your audience isn’t in one place anymore and you’ve had to adapt by building campaigns that span everything from social media and offline events to email and SMS. Things get complicated fast. When you’re running a campaign on eight channels at once, checking the analytics for each one can be a balancing act of metrics, time, and, really, your sanity. 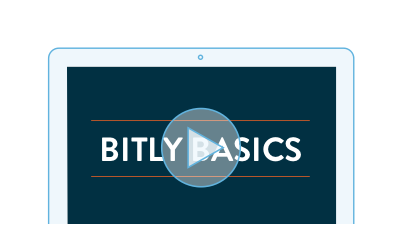 Bitly Campaigns can help you solve that. 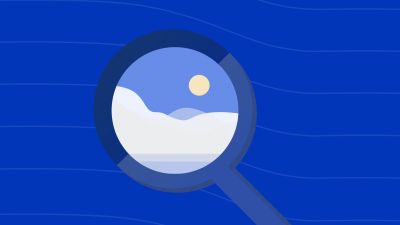 A feature of Bitly Enterprise, Campaigns helps you create, measure, and manage the links at every single touchpoint of the customer experience. You can see, in real-time, where your campaign is succeeding and where it might need a little more investment. 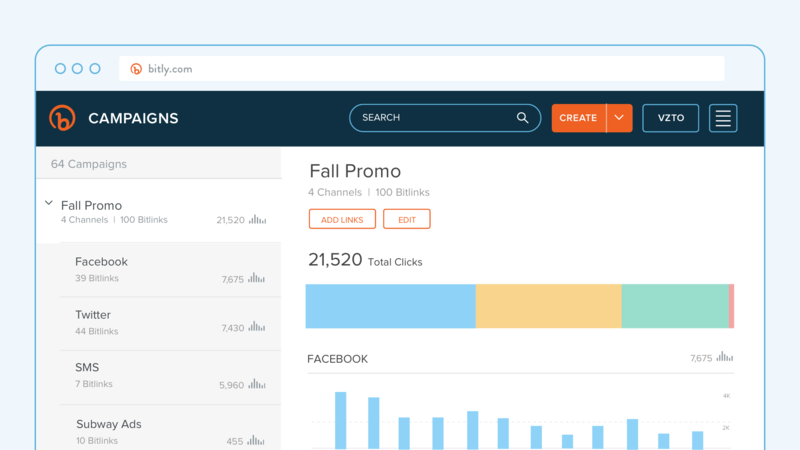 When you’re in the Bitly Dashboard, create a new Campaign by clicking “Campaign” from the orange drop-down creation menu in the upper right hand corner. Write your campaign title and add the channels that you want to track. If you need to create new channels, click “Manage Channels” and type in the channel name in order to create it. Then, you can select and add the new channel. 2. Create Your Bitly Links. Once you’ve named the campaign and selected the channels to track, click “Add Bitly link.” Then, enter the destination page. This could be a link to collateral, a landing page, a website, a product page, a service page, or a sign-up page. In this example, we are putting in the URL for a webinar landing page so we can then promote the webinar on Twitter, Facebook, Email, and other channels and compare them side-by-side. Click “Create” and your Bitly links and new campaign will be ready to go! 3. Start Using the Links in Each Channel. 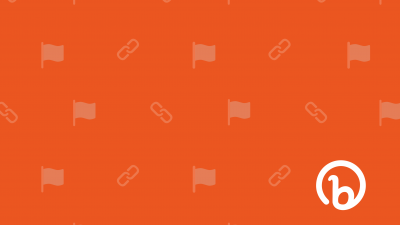 You now have Bitly links for every channel. The corresponding UTM parameters are automatically generated, so you don’t have to worry about manually creating individual codes. You can check engagement across all of your channels by clicking “Campaigns” from the feature menu. If you want to add other Bitly links, click “Bitly links” in the feature menu. Click edit, then “Add to Campaign” and select the Campaign for that specific link. 5. Track the Results in Your Dashboard. When you’ve used your Bitly links in the corresponding channels, you can compare performance across every single channel in real-time. That in turn can show you how your audience engages and what kind of content resonates with them. With Campaigns, there are tons of different ways you can track and organize your campaigns. From demographics and location to different social channels and paid ads, by creating links for each separate channel and rolling it into a single campaign, you can have all the data at your fingertips, without having to jump from platform to platform. This article was published on February 22, 2017 and updated on April 17, 2019. 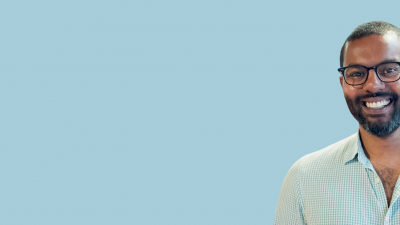 Log into your account to see how you can use Bitly to track multichannel marketing campaigns!